You'll be £4.99 closer to your next £10.00 credit when you purchase Women Wartime Spies. What's this? From Mata Hari through to Noor Inayat Khan, women spies have rarely received the recognition they deserve. They have often been trivialised and, in cinema and popular fiction, stereotyped as vamps or dupes. The reality is very different. As spies, women have played a critical role during wartime, receiving and passing on vital information, frequently at considerable risk. Often able to blend into their background more easily than their male counterparts, women have worked as couriers, transmitters and with resistance fighters, their achievements often unknown. Many have died. Ann Kramer describes the role of women spies during wartime, with particular reference to the two world wars. She looks at why some women chose to become spies, their motives and backgrounds. She looks at the experience of women spies during wartime, what training they received, and what skills they needed. She examines the reality of life for a woman spy, operating behind enemy lines, and explores and explodes the myths about women spies that continue until the present day. The focus is mainly on Britain but will also take an international view as appropriate. The perilous world of women spies in both World Wars is the subject of a thrilling, challenging and educational book that will enthral you. Once you have settled down to read, it will be difficult to stop, as the style is modern and thought provoking. Ann Kramer examines the role of spies souch as Edith Cavell, Mata Hari, Violette Szabo and Noor Inayat Khan. These brave women have never received the recognition they deserved and, through detailed research, this book puts forward many facts of unbelievable courage. The perilous world of women spies in both World Wars is the subject of this thrilling, challenging and educational book that will enteral you. Once you have settled down to read, it will be difficult yo stop, as the style is modern and through provoking. From Marta Hari to Noor Inayat Khan, female spies have rarely received the recognition they deserve, their work and achievements often trivialised in popular fiction and the cinema. 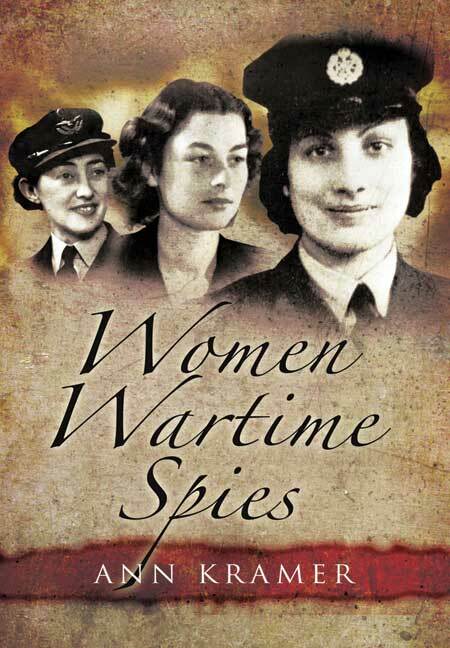 Women played a vital role through both world wars and this book, sets out to set the record straight and tells the often surprising stories of some of the women who chose to become spies and to serve their country. A book about spies always makes a good read and I found this one relating the history of female spies, including those who operated behind enemy lines in the Second World War, to be absorbing. THE PERILOUS world of women spies during wartime is the subject of a fascinating new book by a Hastings-based author. Ann Kramer’s book Women Wartime Spies examines the role of spies like Mata Hari, Violette Szabo, Noor Inayat Khan and Madeleine Damerment. Ann’s book reveals how women often make the best spies as they can pass unnoticed in enemy-occupied territories more easily than men. Her new book sets out to challenge the stereotypes around women spies, describing the work of women spies during the two World Wars and the roles they fulfilled — as couriers, wireless operators and resistance fighters. roles during the two world wars, a subject that fascinates her. Her recent books include the successful Land Girls and their Impact (Pen & Sword, 2008), which was very well received. Kramer now lives in Hastings.